Every element you put into your home defines its style. Thus, you have to be mindful of what you omit and include. If you have a general theme in mind, you have to work your way backward and determine what materials will help you establish things clearer. As far as neoclassical homes go, you will have to think about planar qualities among your furnishings, flat projections and recessions in its structure, paneling and sculptural bas-reliefs as well as the use of white applications in different areas. It means white granite countertops in kitchens and bathrooms and marble fireplaces in studies and living rooms. When discussing its primary characteristic, architects would usually point out the autonomy and completeness of every living space designed in neoclassic style and its ability to communicate purpose or function at first sight. When it comes to interior design, neoclassicism approaches are typically defined by the use of pediment window frames, fireplaces with temple fronts, isolated medallions, vases or busts, pale tints or stone colors and slender arabesques. Alaska White granite countertops perfectly blend with this concept because they represent the sentiments of the style itself – flat, articulated and otherworldly. The best part about introducing it in your home is that you don’t have to worry about either the price or the quality. 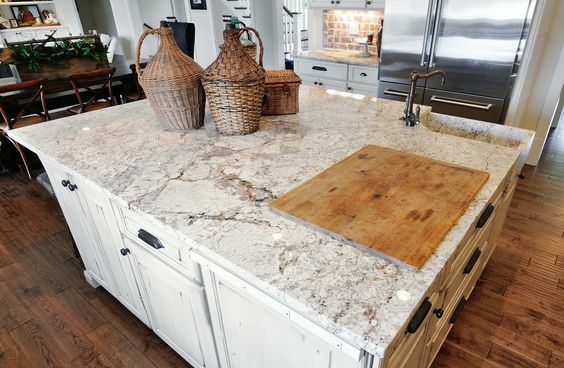 Granite countertops are among the most durable and beautiful kitchen design materials that can be bought at a budget. And because it can withstand extreme temperature changes as well as prolonged pressure exposure, you can rest assured that you and your family will be able to enjoy it for a long time to come. Sometimes you might think getting this countertop type and adapting a neoclassical home design may be an inconvenience because of how demanding it will be when it comes to maintenance. But the truth of the matter is, granite in itself is stain resistant and have poor liquid absorption. As such, homeowners would not have to worry about water spots or soft areas developing upon repeated spill exposure. And since all that’s required to keep it looking pristine is a little bit of soap and water, and perhaps a yearly sealant application, there is a little hassle to consider in its use. Granite countertops are also impressive and can lend an air of sophistication and elegance to any room. And even though you change your mind after five years and shift from neoclassical to a postmodern home design, you will not have any problems if you keep the same countertops in your kitchen or bathroom. Some people say that the kitchen is the heart of a home, where meals are prepared with love and served with care. However, with shrinking apartment space, the traditional kitchen has undergone an image makeover. Today’s kitchens are about combining functionality with design aesthetics and reinventing common kitchen elements. It is amazing how a few square feet of apartment space can be converted to a beautiful efficient kitchen. The key to a well-designed kitchen is keeping it well-ventilated and clutter-free. Large windows, optimum lighting, and accessible storage units are the staples of contemporary kitchens. We have listed down a few other design elements that play a pivotal role in the small kitchen. If you want to make your kitchen look bright and spacious, then the color scheme can be your best ally. Shades of blue and white not only add an airy feel to your kitchen but also brings a touch of warmth. Yellow and brown add a dash of earthiness while a cool gray speaks of sophistication. Playing around with colors and textures, you can transform your small kitchen to a haven for the senses. The kitchen island has widely been used as an element to divide the cooking and dining areas. It also serves as additional counter space, which is indispensable in any kitchen whipping up culinary treats. When looking for granite colors and names, it’s important to remember this, can make a huge difference in the look in feel in your kitchen. Moreover, storage racks can be built in below the island surface. Interestingly, the kitchen island is a multitasker. It can double up as a place to huddle over coffee or a place where the kids do homework while you keep an eye on them. 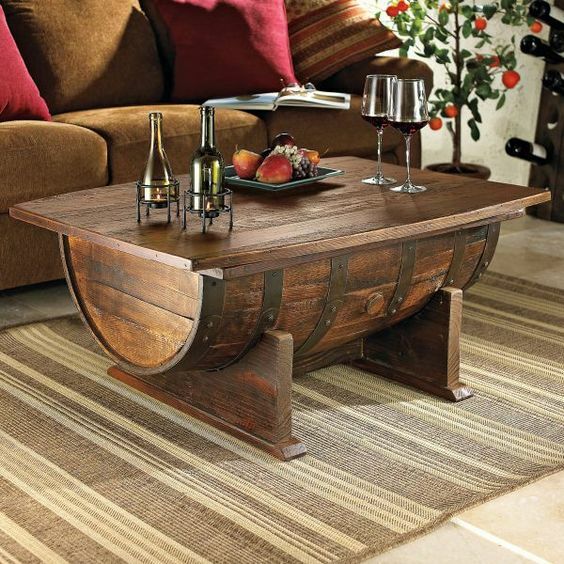 And if you add a few bar stools, you can have a stylish place to sip wine as well. The foremost concern in any small kitchen is keeping it clutter free and this demands creative storage solutions. Vertical storage cabinets that reach all the way to your ceiling can help create the much-needed storage space. Stunning visual effects can be created in the kitchen by experimenting with the texture and color of the cabinets. Mirrors can also be added to the cabinet doors to create an illusion of additional space. A few racks can also be built in seldom used areas like the back of the stairs to store your crockery. Whoever said that small is sweet was not mistaken. Gorgeous kitchens can undoubtedly be designed by tweaking traditional kitchen elements. We have also compiled a gallery of photographs depicting a few small kitchen decorating ideas that can hopefully inspire you. Happy browsing.